Do swans herald snow for the UK? There has been some speculation that the UK may be in for a cold winter after the arrival of a migrating Bewick’s swan from Russia. The swan arrived at the WWT Slimbridge Wetland Centre in Gloucestershire on Sunday 11 October, the earliest date since records began at the site in 1963. It is thought low temperatures, snowfall and north easterly winds in Russia have encouraged Bewick’s swans to start their westwards migration through Europe early this year. The swans have also been spotted gathering on lakes in the Netherlands. WWT studies have shown that the weather is a major influence on when Bewick’s swans migrate from Russia, with the wind direction being a particularly crucial factor. 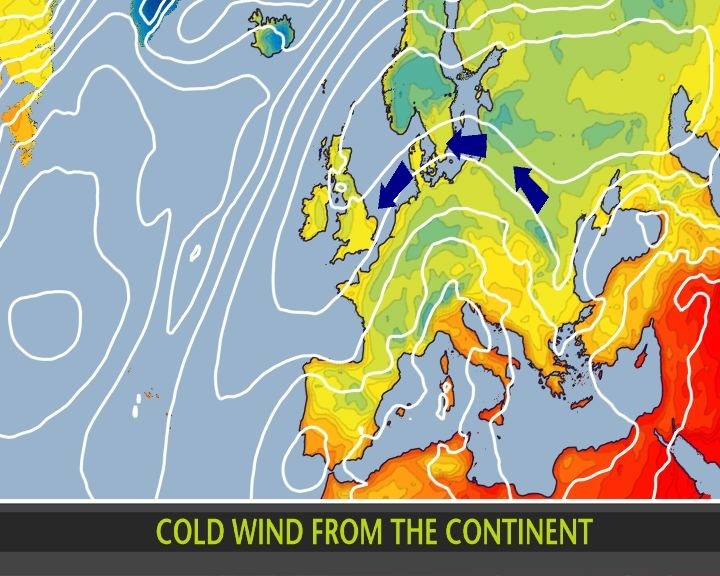 Unusually cold weather has developed over a large part of continental Europe and is likely to persist through this week with temperatures around 5-10 degrees below average. Daytime temperatures in Russia on Monday were around 3-4C which is more like the average nightime temperature for this time of year. The cold weather is extending further west and south going as far south as the Mediterranean coast of France and north east Spain. Snow has fallen over southern Poland, western Ukraine and eastern Slovakia. “Apparently there’s a Russian saying ‘the swan brings snow on its bill’, because they tend to move just ahead of the cold weather. Of course, we can’t infer much from the arrival of a single swan but it’s certainly exciting this bird has arrived so early. 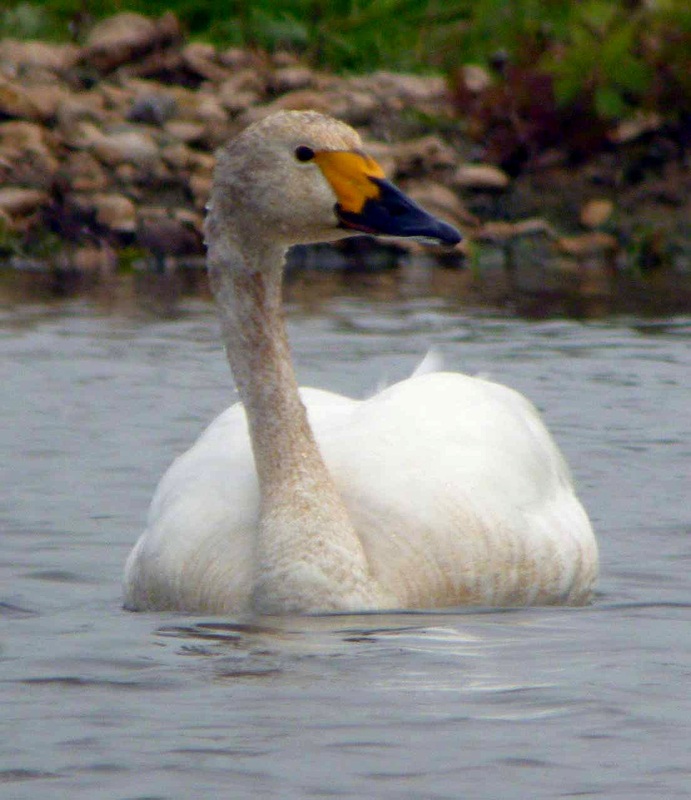 The public can see the Bewick’s swans at WWT Slimbridge where they are fed daily from November 1 to the end of February. They can also be seen via the webcam. 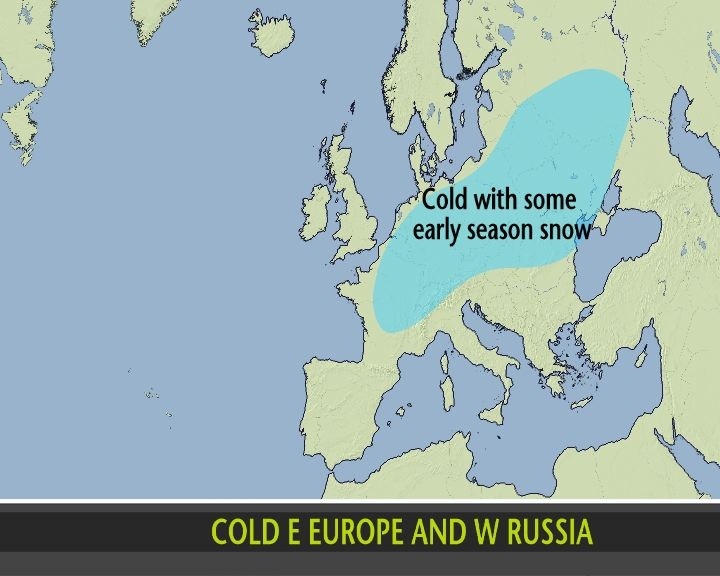 Will the cold weather in Europe affect the UK? High pressure is currently dominating the weather over the UK with winds from the east bringing cold air. Many places will stay dry with bright days and chilly nights with temperatures around, or a little below, average for the time of year. However, there will be some showers, especially along eastern coasts and in the southeast of England over the next few days. There is no sign of any snow for the UK, but low overnight temperatures will allow some localised frost and fog to form. Take a look at our forecast pages for the latest weather for your area. At this stage it is too early to speculate what weather this winter may bring to the UK. This entry was posted in Met Office News and tagged cold, Europe, forecast, migrating, migrating birds, Russia, slimbridge, snow, swan, Winter, WWT. Bookmark the permalink. 2 Responses to Do swans herald snow for the UK? Although I’m not much of an ornithologist the news about Bewick swans arriving so early fits well with the unusual run of anticyclonic Lamb Weather Types that we have been experiencing since the start of autumn (the astronomical and not the meteorological type). October is already 50% anticyclonic and looks set to rival the Octobers of 1879, 1946 and 1962 which were also very anticyclonic. Anticyclonic spells like this can spell easterly blocked situations with cold air pushing down over western Russia. Interestingly 1879 (the most anticyclonic October on record) also presaged a very cold autumn and winter as did October 1946 and 1962. Did my comment fail moderation for some reason?